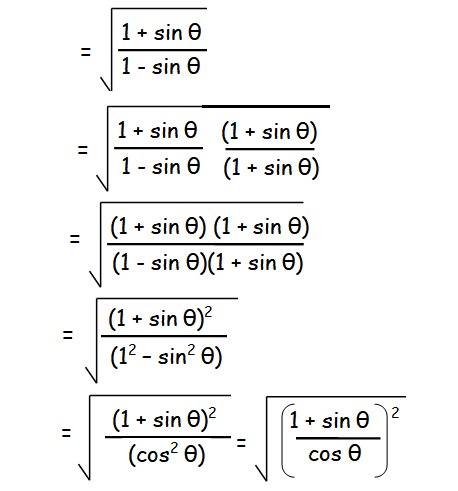 Here we are going to see, some example problems to show proving trigonometric identities. 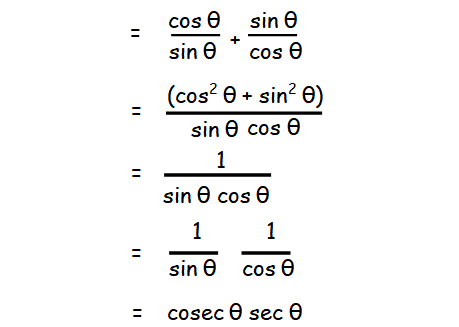 The reciprocal formula for 1/sin θ is coesec θ and 1/cos θ is sec θ. 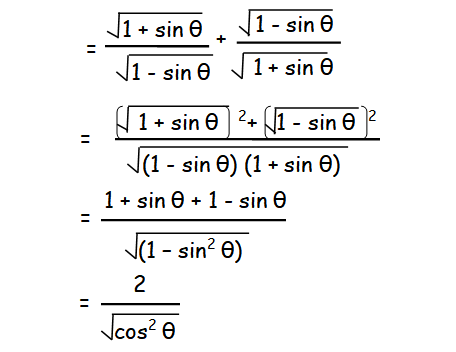 (2) Prove the following identities. (3) Prove the following identities. (4) Prove the following identities. After having gone through the stuff given above, we hope that the students would have understood, "Proving Trigonometric Identities". 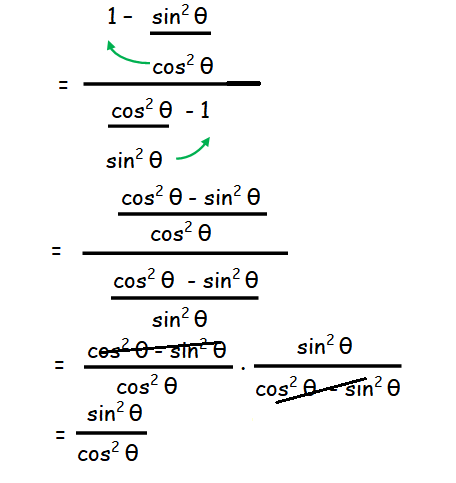 Apart from the stuff given in this section "Proving Trigonometric Identities", if you need any other stuff in math, please use our google custom search here.